Polypropylene- Appropriate for cargo safety devices? You are here: Home / 2. Cargo Control / Polypropylene: Appropriate webbing for cargo safety devices? Polypropylene: Appropriate webbing for cargo safety devices? As a former sales manager for a narrow fabrics company, this question really drives me nuts. Prospects often insisted polypropylene (polypro) webbing was acceptable in cargo safety applications. After drilling down a bit, the root cause for this insistence was always cost. 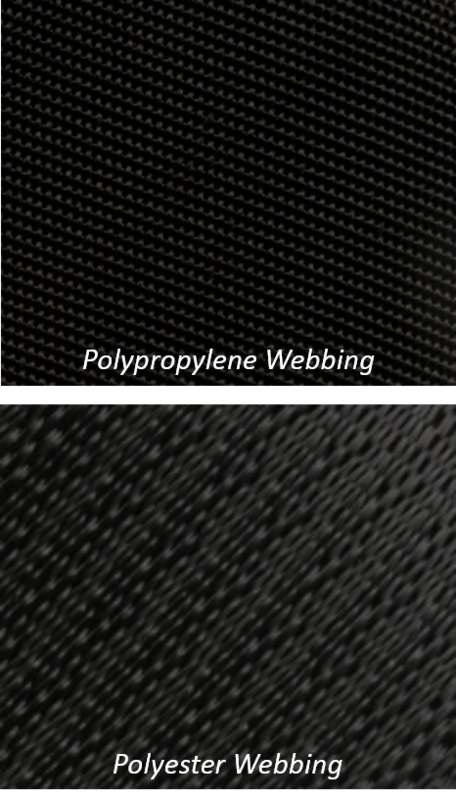 Polypropylene webbing is just plain cheap! We always recommended polyester or nylon instead. A visit to the Web Sling Tie Down Association’s Standard Specification for Synthetic Webbing Used for Tie Downs (WTSDA-T-4) will find no mention of polypropylene webbing. Polyester and nylon are the only two fibers specified. 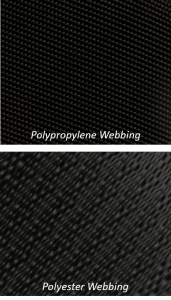 So what are appropriate uses for polypropylene webbing? Polypropylene makes great handles for free trade show totes! And finally this great chart and statement from shockstrap.com should seal the deal.